The third branch of the RMAA is education. facing not only New Hampshire, but the country. Is your cat inappropriately urinating? Inappropriate urination is actually a common cause of death in cats since many are relinquished to shelters for this reason.Yet, the problem is almost always fixable. Your cat may have underlying physical problems such as arthritis, diabetes, cystitis, kidney disease, feline cognitive dysfunction (‘kitty Alzheimer’s’) or any number of other physical explanations for inappropriately urinating. These are conditions that require treatment from your veterinarian. So, when a cat has accidents, rule number one is to visit your veterinarian. And, do it sooner rather than later. Pet owners tend to let “mistakes” turn into habits. This makes the problem more difficult to deal with than had the owner immediately addressed the issue. Sure, any cat can have a “mistake,” but if there seems to be a pattern, talk with your veterinarian. It’s important to describe to your veterinarian what’s really going on. There are a myriad of reasons cats eliminate outside litter boxes. Cats aren’t very nimble at dealing with change, which can cause anxiety. Therefore, the death of another pet or Uncle Ned moving into the guest room can create enough anxiety that triggers improper litter box behavior. The good news is that help is available through your veterinarian. tail quivers, cat may vocalize and urine dribbles vertically. Cat urinates on a flat surface, often leaving a puddle. Is the cat seeing/smelling outdoor cats (even rarely other animals) which are causing a territorial response? Is the cat spraying against the wall in an apartment or condominium where another cat is living on the other side of that wall? When unsupervised, confine spraying cat in a part of the house where outdoor cats or cats on other side of a neighbor’s wall can’t be seen, heard or smelled. In multi-cat homes, is there a new feline addition? Are various cats getting along? Is the cat spraying on a new piece of furniture? Cover the furniture to protect it. Consider spraying a synthetic pheromone product, such as Feliway® (as directed), where cat has sprayed. If recommendations aren’t successful, seek professional help; and the use of a psychopharmaceutical may be indicated. Urinating on furniture, in a sink or on a sofa or bed?Urinating next to the litter box(es)? Cats who require a “litter box perch” are sometimes feeling insecure, threatened and/or generally anxious about other cats (or other pets, even children) in proximity to existing litter boxes. Make those areas where the cat is urinating unattractive. Affix double stick tape on plastic placemats (cat don’t like to feel stickiness on their paws) or purchase a product called Sticky Paws. A Scatmat (placed on furniture) is flexible PVC which is plugged in, and gives those who jump on it a mild electronic shock. 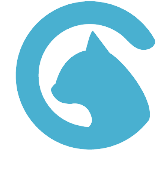 Ssscat!, is a motion detector that sprays air. Use a baby gate (or another barrier) to keep the dog(s) away from the litter box; (you can cut a hole in it for the cat to go through or raise the gate so the cat can easily squeeze under. Even if it seems cats are getting along, signaling in cats is subtle. A cat lying in a hallway leading to a box, for example, may be enough to dissuade a second cat from heading in that direction. Cats may be very clear about daily disdain for one another or offer subtle, yet intimidating cues, only in specific contexts. When cats are not getting along, offer an abundance of resources to them-most importantly, litter boxes (more is better), as well as toys and scratching posts. Change may cause anxiety; the owners’ work schedule, home construction, a new partner or pet moving in, etc. A cat may choose the owner’s bed over a litter box because it is soft and cushy, offers a secure view, its comforting and smells so reassuring. Ease anxiety. If a houseguest or new partner has moved in, have that person interact positively with the cat, taking over responsibility for feeding and offering treats; and most importantly, play with an interactive cat toy. If the cat is unwilling to interact, it’s best to ignore the cat. Use a plug-in synthetic pheromone, such as Feliway, or a pheromone collar (such as SentryHC Good Behavior Calming Pheromone Cat Collar). Obtain additional professional advice for behavior modification. A psychopharmaceutical may be required. Next to the litter boxAssuming that the cat is physically well, a cat that urinates next to the box may generally be communicating that the litter box location isn’t so much an issue, but instead the cat finds something aversive about the litter box. If the owner has switched cat litter brands recently, return to using the previous brand. Scoop at least once daily. If the litter box is a year old or more, replace the box. If the box is covered, consider removing the hood. If the cat is defecating in the box and urinating just outside the box, sometimes adding a nearby second box will solve the problem. Obese cats (who may also be arthritic) can have difficultly moving into and out of the box. Either buy an extra-large manufactured litter box, or consider a plastic storage container (the kind you’d keep sweaters in and store under a bed). Low sides are best so it’s effortless for the cat to walk in and out. Also, a veterinarian can suggest a weight loss program and appropriate pain relief, if needed. If the litter appears to be suspect, allow the cat to choose the litter preference via a litter trial giving three or four choices, literally lining up the boxes like a buffet. Most people have heard of ear mites but don’t really know what they are. Many pet owners see an inflamed ear with discharge on their pet and assume it is an ear mite infection, which often leads to weeks of improper treatment with over-the-counter remedies. To properly treat an ear infection, it is important to determine if an ear is infected with yeast or bacteria or actually infected with mites. Below you will find answers to common questions about ear mites to help properly diagnose and treat your pet’s ear infection. What are ear mites?How do I know if my cat has ear mites? How did my cat get them? Can my dog get ear mites too? Ear mites are usually detected by examination of a sample of ear wax under a microscope. Infection usually produces a characteristic dry, black, crumbly ear discharge commonly said to resemble coffee grounds. Because of the classical appearance of this discharge, many will diagnose a cat with ear mites based on the presence of this discharge without visual confirmation of the mites under the microscope. It is possible to improperly diagnose based solely on the appearance of the discharge, so here at Rozzie May, we confirm a diagnosis of ear mites by microscopic inspection. Ear mites spread rapidly, and can be transmitted from even brief physical contact with other animals. Ear mites most commonly infect outdoor cats. If you have an indoor cat that does not have contact with other cats and was not infected with ear mites when she came into the house, it is not likely that she has ear mites now. There are numerous products available for treatment ear mites. Most over-the-counter products contain insecticides which do not kill incubating mite eggs. Because of this limitation, such products must be used for at least the duration of the 21 day life cycle of the mite. While these products can work, when consistently and properly administered, three weeks of use is fairly inconvenient and your pet may not allow for appropriate daily treatment. The harsh chemicals in many of these over-the-counter products can also cause severe skin irritations in some animals. RMAA recommends using a prescription medication to treat ear mites with one treatment. These medications are safe for your pet and effective. Though these medications may cost a bit more than the over-the-counter treatments, they are easy to apply and are much less stressful for you and your pet. Revolution is the product that we choose for the treatment of ear mites as it also has the added benefit of treating for fleas and intestinal worms. Other safe products include Acarexx, MilbeMite, and Advantage Multi. The short answer is yes, however, it is not common. In pets, ear mites most commonly affect cats, ferrets, and to a much lesser extent dogs. Ear mites host preference is definitely the cat. Humans cannot be infected with ear mites. After walks in the snow or anywhere that rock salt or other chemical de-icers are in use, be sure to wipe off your dog’s legs and belly. He can ingest salt, antifreeze or other potentially dangerous chemicals while licking his paws and his paw pads may also bleed from snow or encrusted ice. Puppies and senior dogs do not tolerate the cold as well as adult dogs. If your dog is sensitive to the cold due to age, illness or breed type, take him outdoors only to relieve himself. Never let your dog off leash during a snowstorm. Dogs can lose their scent and easily become lost. More dogs are lost during the winter than during any other season. Get your dog microchiped and make sure he always wears ID tags. Never leave your dog or cat alone in a car during cold weather. Cars can act as a refrigerator in the winter, holding in the cold and causing the animal to freeze. Mice and other rodents trying to find a warm place for the winter often find their way into houses. Do not use poison to get rid of them. Your dog or cat may find the poison or even be exposed to the poison by the rodents that have consumed it. The poison is equally lethal to your pets. Use a trap instead. If your dog spends a lot of time engaged in outdoor activities, increase the amount of food and protein you feed him to keep him, and his fur healthy. If there are outdoor cats in your area, bang loudly on the car hood before starting the engine to give the cat a chance to escape. During the winter, outdoor cats sometimes sleep under the hoods of cars. When the motor is started, the cat can be injured by the fan belt. Never shave your dog down to the skin in winter. They need their longer coat to provide more warmth. When you bathe your dog in the colder months, be sure to completely dry him before taking him out for a walk. If your dog has short hair consider getting him a coat or sweater with a high collar or turtleneck withcoverage from the base of the tail to the belly. Q: How often do I need to trim my pet’s nails? A: Most dogs and cats should have their nails trimmed once a month. Dogs who frequently walk on pavement my need it less often. Some need to have their nails trimmed every two weeks. Q: My pet doesn’t like his feet touched. What can I do? A: Help your pet become accustomed to having its paws handled. It’s best to start when he is a puppy or kitten. Touch the paws and toes gently, and praise your pet. If your pet is older, try starting with a belly rub and working your way down to the paws. Do this even when you are just snuggling, and do it often. Q: What kind of nail trimmers shouuld I use? A: You will need sharp nail trimmers that are designed for pets, in the appropriate size for your pet. There are two types of trimmers: guillotinestyle and scissor-style. Guillotinestyle trimmers have a hole at the top where the nail is nserted and a blade that cuts in one direction. Scissorstyle trimmers cut in both directions are often easier to use and allow you to better see what you are doing. Q: How do I restrain my pet? A: It’s often helpful to have someone hold your pet. In most cases, the less restraint, the better. Heavy restraint stresses the pet and encourages struggling. Some dogs will allow nail trims while standing on a table. Others are more comfortable lying on their sides. With cats, gently holding the scruff of the neck may help calm them. If your pet is likely to bite when stressed, consider using a muzzle or having the nails trimmed by a Veterinary Technician or Groomer. Q: Is it ok to only trim a nail or two at a time? A: Yes. If your pet becomes stressed, take a break. It’s okay to only trim one or two nails at a time. If you’re still not comfortable, ask a veterinary technician or groomer to demonstrate the procedure for you. Let’s face it, most pets don’t like having their nails trimmed. Q: How do I know how much to cut? A: Each nail has a blood vessel in the center called the quick. If your pet has light-colored nails, the quick will appear pink when the nail is viewed from the side. You’ll want to trim the nail just below the end of the quick. If your pet has dark nails, you won’t be able to see the quick. You’ll need to start at the very tip of the nail and make a series of small clips. As you get closer to the quick, a darker circle will start to appear in the center of the nail tip. This tells you that you’ve reached the quick, and it’s time to stop. Q: What if I cut the nail too short and it bleeds? A: If you cut into the quick, don’t panic. It can be messy and scary, but it will stop bleeding. Even the most experienced nail trimmers cut the quick periodically. Applying styptic powder (available at most pet stores) should make it stop. If you do not have this you can also use cornstarch, baking soda or flour. Comfort your pet, and offer a treat. If you suspect your pet has eaten anything thay may be toxic to them, including the following items, please note the amount ingested and contact your veterinarian or the ASPCA Animal Poison Control Center at (888) 426-4435.There is a $65 consultation fee for this service. Rapid response is important, but don’t panic. You may not notice any adverse effects right away. Sometimes a poisoned animal may appear normal for several hours or for days after the incident. If you see your pet consuming material that you suspect may be toxic, do not hesitate to seek emergency assistance right away. Take a minute to safely collect and have at hand any material involved. If you need to take your pet to your local veterinarian, be sure to take the product’s container with you. Also, collect and bring with you any material your pet may have vomited or chewed. Contact your veterinarian or the ASPCA Animal Poison Control Center at (888) 426-4435. Be Prepared Before an Incident OccursKeep the telephone numbers of your local veterinarian or emergency veterinary hospital and the Animal Poison Control Center easily accessible. on how and when to use any emergency first-aid item.